Your vehicle is loaded with sensors in various places of the structure to ensure the safety of the passengers. One way your vehicle keeps you safe every time you drive is by utilizing the TPMS. This system continuously monitors the most important safety systems: your tires and your brakes. 1.1 Why is TPMS in place? 3 Why does TPMS light come on? 4 What to do when TPMS light is on? The Tire Pressure Monitor System or TPMS is an electronic system in your vehicle that alerts the driver when the air level of the tires is low. 2 different types of sensors work together to send signals to the computer when there is a problem with your tires. This is especially concerning when the tire pressure is severely-underinflated leading to very unsafe driving conditions. In order to monitor safe driving conditions in your car, the tire pressure monitoring system is implemented into all modern vehicle makes and models. 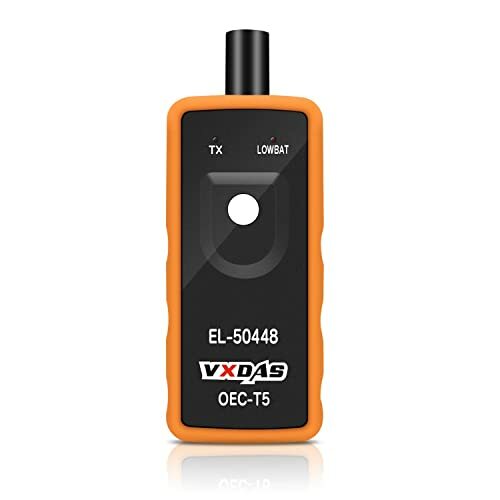 VXDAS EL-50448 Auto Tire Pressure Monitor Sensor TPMS Relearn Reset Activation Tool. Why is TPMS in place? TPMS is in place in most vehicles after 2006 to ensure drivers understand the safety importance of monitoring and regulating the tire pressure on their vehicles. To make sure people understood these safety procedures, Congress passed the TREAD-act, which stated all cars after 2006 must be equipped with TPMS. To fully understand TPMS, you need to know the two different types of systems Direct TPMS vs Indirect TPMS. First, there is Direct TPMS, this system uses a sensor that is located within the wheel itself to monitor the air pressure in the tire. In the event that your tires air pressure falls below the manufacturers recommended level. 25%, the sensor will send this information to the computer system. Wireless receivers within the dashboard of the vehicle should transmit this information and illuminate the TPMS indicator light. In some cases with Direct TPMS, there is a sensor for tire temperature readings. This is a particularly helpful sensor so that you know if the TPMS light is illuminated due to change of temperature. The other system is Indirect TPMS, this service works with the speed of the tires and the anti-lock brake system. Indirect TPMS is a very low maintenance system that requires less upkeep and less expense than Direct TPMS. The sensors that monitor the wheel speed measure how fast the tires turn. If the air pressure is low in one tire, this tire will rotate at a different speed. If the sensors indicate that a tire is rotating faster than expected, the systems within the vehicle’s computer will alert the driver. For this reason, it is called Indirect TPMS. Because it does not actually monitor the pressure inside the tire, but instead the rate of rotation. TPMS is an alert system that will tell you if the pressure in your tires is low or you are on the verge of deflation. In other words, your vehicle will monitor safe driving conditions by helping to improve the way the car handles. You will also notice a decrease in the wear of your tires thanks to TPMS. Additionally, another benefit from TPMS is reducing the distance of braking whenever you press on the brakes, if your tires are properly inflated, there is less skid from your vehicle. 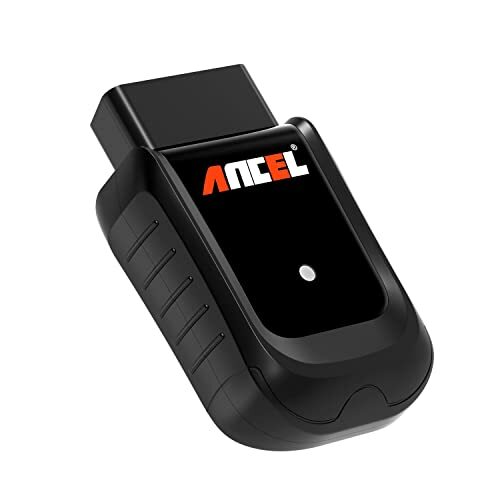 OBD2 scanner can detect TPMS problems on your vehicle. The Tire Pressure Monitoring System within your vehicle works through wireless communication between the computer and the tires. Advanced sensors inside the tire can indicate the exact pressure and send this information to the vehicles control panel to inform the driver. That means, if a piece of debris or a nail penetrates the tire and air begins to leak, the sensors will immediately tell the driver a problem has occurred. It doesn’t just stop there, additional sensors in the brakes of your vehicle continuously monitor how fast or slow your tires are rotating. If a tire is losing pressure, it may rotate at a faster speed than the other tires. An enhanced rotational speed will be picked up by the Indirect TPMS sensors. Then they send this signal to the TPMS indicator. With these two pieces of information from the tires, the computer within your vehicle can read and deliver messages to the driver that the tires need assistance. Why does TPMS light come on? The TPMS light should only be illuminated in the event that the air pressure within the tire falls below the recommended level, normally this is 25%. This indicator light could have a variety of meanings. For example, there may be a hole in the tire causing a loss of pressure, or a change in environment. However, it is not recommended to run to the air pump right away. Often times, a change in weather can cause a difference in air pressure. Therefore you may notice an illuminated light on a, particularly cold morning. It is suggested to wait to make sure the indicator light stays illuminated before inflating or changing the tires. What to do when TPMS light is on? In the event that your TPMS light turns on, as I said previously, it is not advised to run straight to the air pump. Instead, first, inspect your tires. The TPMS indicator will more than likely let you know which tire is low in pressure. Inspect your tires to see if any seem deflated or punctured by an external element such as a nail or glass. If a tire seems low in pressure, look at the manufacturer recommended inflation pressure. This can usually be found on the tire. 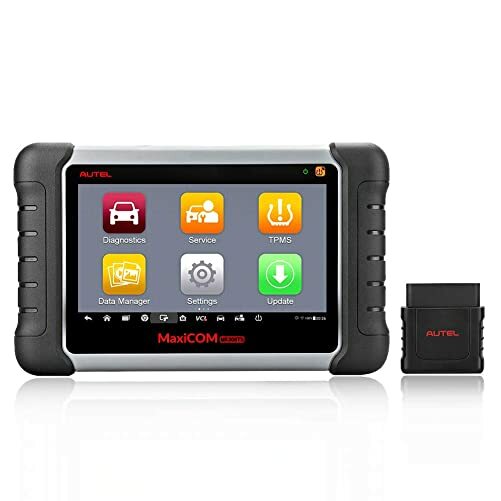 Autel MaxiCOM MK808TS Enhanced Diagnostic Scan Tool of MK808BT and MK808 with Complete TPMS Functions. Inflate the tire to the desired pressure, and when it is inflated the TPMS light should turn off. If there is a further problem, the tire might need to be changed. If this occurs, you can bring your vehicle into any tire repair shop. Here, you should have them run the necessary tests to monitor and replace the tire on your vehicle. After a replacement or tire repair, the TPMS light should turn off.